It is not unusual to see children’s breakfast cereal looking like generic mush. Enter Slurrp Farm cereal mixes in flavours like banana, apple, mango and even a khichdi variant that delivers on nutrition as well as variety. For erstwhile finance professionals Meghana Narayan and Shauravi Malik, Slurrp Farm emerged from an endeavour to get their children to eat healthy and tasty food. “We felt a need for innovative products related to children's nutrition for ourselves and the market. And so we decided to enter this space category by category, targeting different age groups," says Narayan. 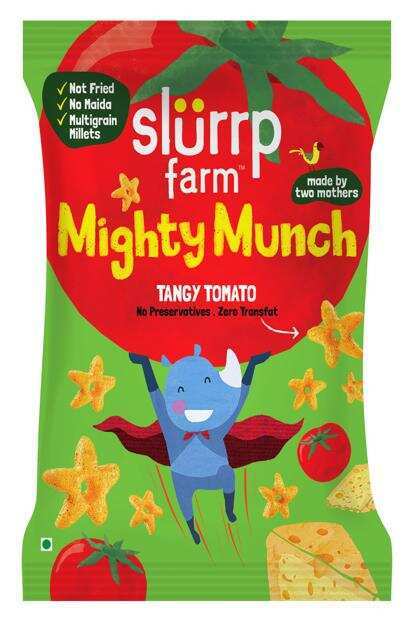 So far, Slurrp Farm offers a range of wholesome breakfast and snack options for little ones as well as adults. There are pancake mixes which combine supergrains with chocolate chips, banana and cocoa. Their powdered dosa mixes use alternative flours and natural flavours like spinach and beetroot. A new line of ragi and jowar puffs offer healthy alternatives for tiffins. “Our idea is to take products that are mostly junk and make the best non-junk versions of it," says Narayan.